Custom glass pieces are a great way to brighten up your kitchen and add to the value of your home. One of the better custom pieces available is back painted glass, or what is commonly known as a glass backsplash. Backsplashes, in general, aren’t always difficult to create because many of them are made out of materials like tile. However, a back painted glass backsplash is more difficult and requires help from professionals. 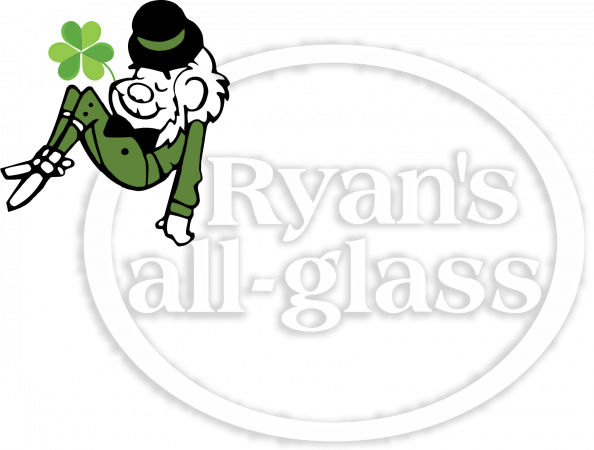 In today’s blog post, Ryan’s all-glass will explain how back painted glass is made. Back painted glass, or backsplash, is glass that has been painted on the back side of the pane. This feature uses the reflective quality of glass, similar to mirrors. With a mirror, reflective metal is put behind the clear glass, which allows you to see your reflection. With backsplashes, the back side of the glass is painted so that the glass doesn’t lose its reflective translucence, but still appears to be a solid color or a variety of colors. How Is Back Painted Glass Prepared? A manufacturer will begin with a sheet of glass that has been cut to the specifications of the customer. From there, the glass will be cleaned of any debris and the front edges will be taped off to prevent debris from getting embedded in the paint. The glass is then laid flat on its face and the paint is applied to the backside in the specific pattern or design that is required. After multiple coatings, the paint is allowed to dry. Often, the manufacturer will allow the piece to bake in an oven to ensure the best possible adhesion between the paint and the glass surface. Can I Make A Custom Backsplash Myself? In short, yes, you can make a custom backsplash yourself. However, can be very difficult to make professional-looking back painted glass yourself. The manufacturing process of back painted glass is quite complicated, and even if you are able to do it on your own, you are much more likely to come out with a high-quality piece if you allow a company like Ryan’s all-glass handle the production. 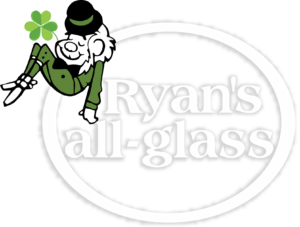 If you are looking for a high-quality custom backsplash, Ryan’s all-glass has many options to choose from. For more information on what we have to offer, get in touch with us at (513) 771-4440 or contact us online today.